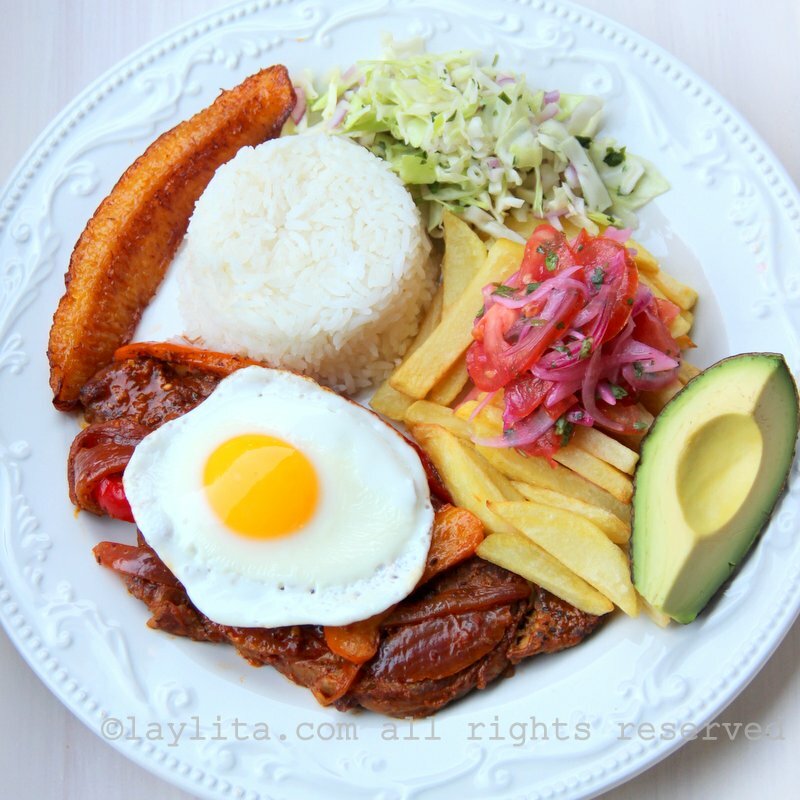 Ecuadorian main meals, especially at lunch or almuerzo time, usually consist of meat, poultry or seafood with side dishes of rice and/or potatoes, a small salad, plantains (ripe or green), and some hot sauce on the side. 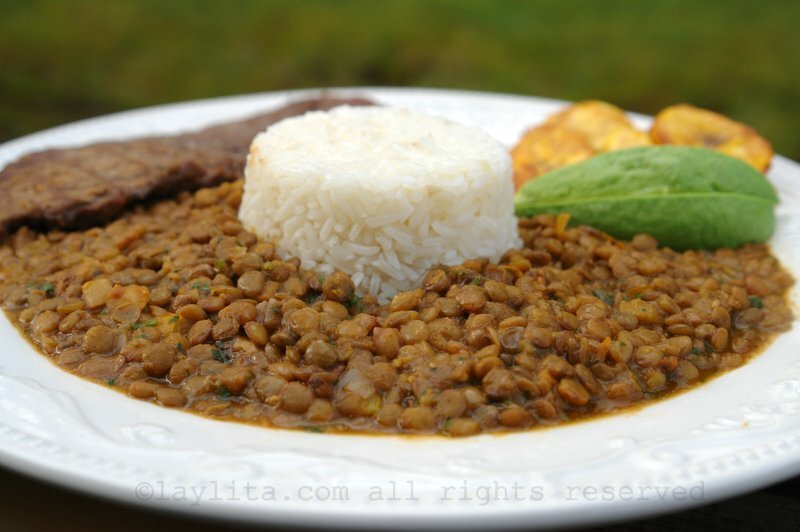 Main meals in Ecuador vary depending on the region; you will find a lot of seafood and plantain dishes in the coastal cities and more beef, pork and chicken main dishes in the highlands of Ecuador. 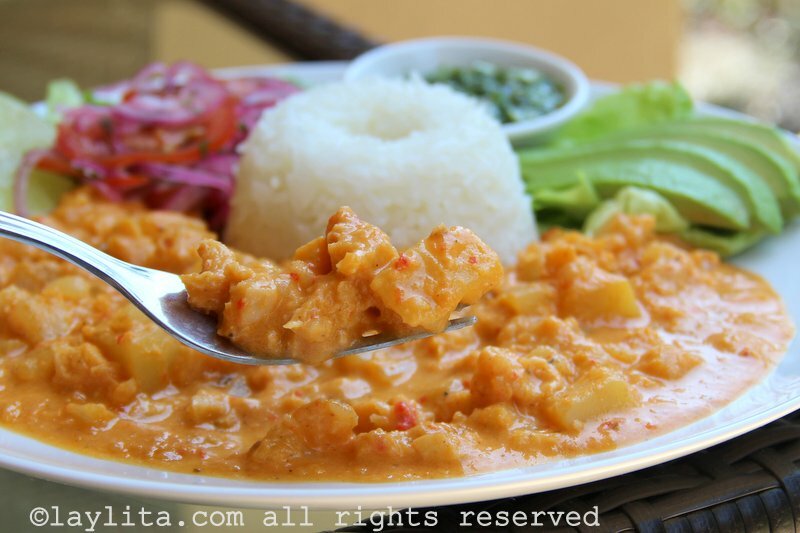 This doesn’t mean that you won’t find seafood in Cuenca or meat stews in Manta, it just means that there are a lot of specialty traditional dishes in each region, but you can find the most traditional Ecuadorian main dishes anywhere in the country. 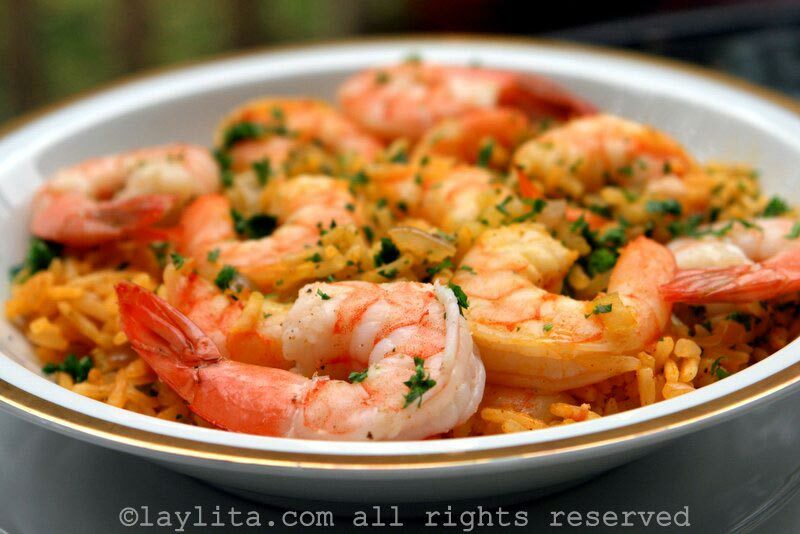 Arroz con camarones: Classic South American dish from the coastal areas consisting of rice cooked in a shrimp broth and mixed with shrimp, sautéed onions, peppers, tomatoes, garlic, cumin, achiote and parsley. Arroz con chorizo y camarones: Arroz con chorizo y camarones is a dish of rice with chorizo cooked in seafood broth with shrimp, onions, peppers, garlic, tomatoes, and parsley. Arroz con pollo: Arroz con pollo is a delicious Ecuadorian dish of chicken and rice cooked with onions, tomatoes, peppers, celery, garlic, achiote, cumin, cilantro, among other ingredients. 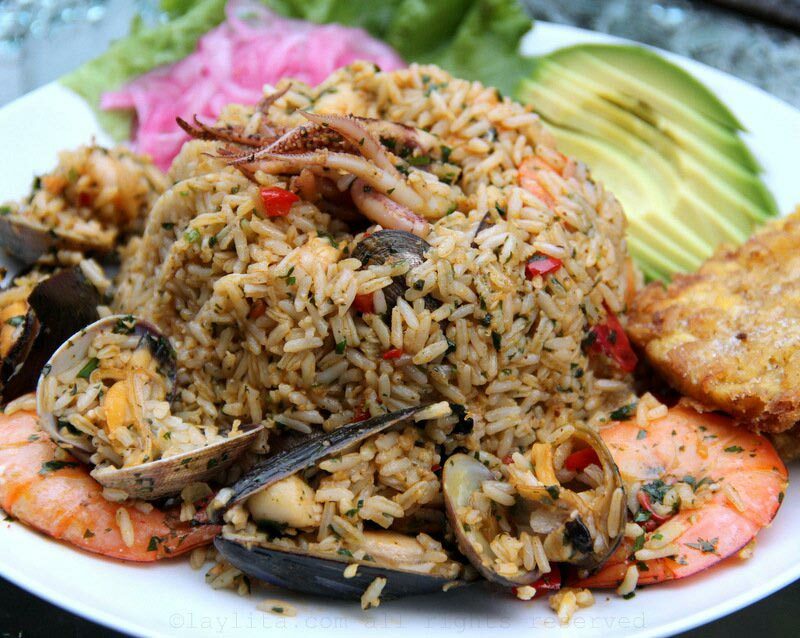 Arroz Marinero: Arroz marinero or seafood rice is a South American dish similar to Spanish paella, that is made with rice cooked in seafood broth and sautéed with shrimp, clams, squid, bay scallops, onions, garlic, bell pepper, cilantro and spices. 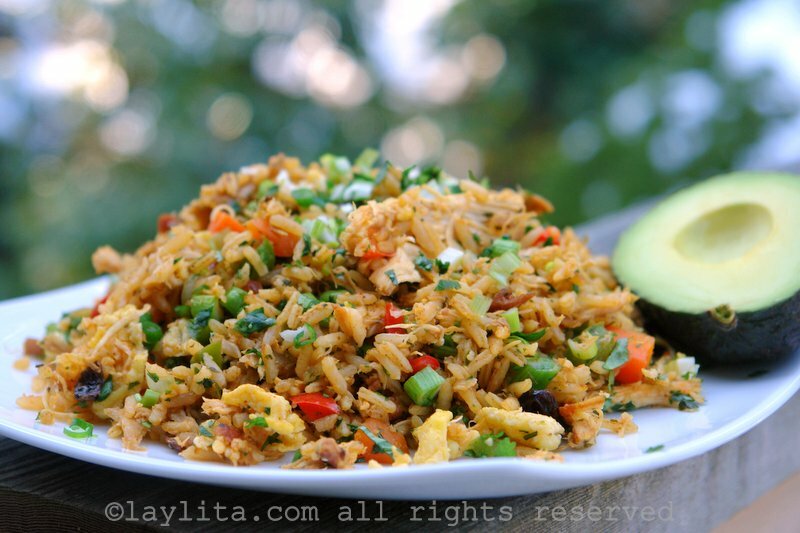 Chaulafan de pollo: Chaulafan de pollo is an Ecuadorian chicken fried rice made with rice, chicken, bacon, onions, garlic, peppers, bell peppers, peas, carrots, scrambled eggs, raisins, spices and herbs. Ecuadorian churrasco: Ecuadorian churrasco consists of a grilled or sometimes fried steak topped with a crispy fried egg served with rice, French fries, ripe plantains, a small salad, avocado slices and hot sauce. 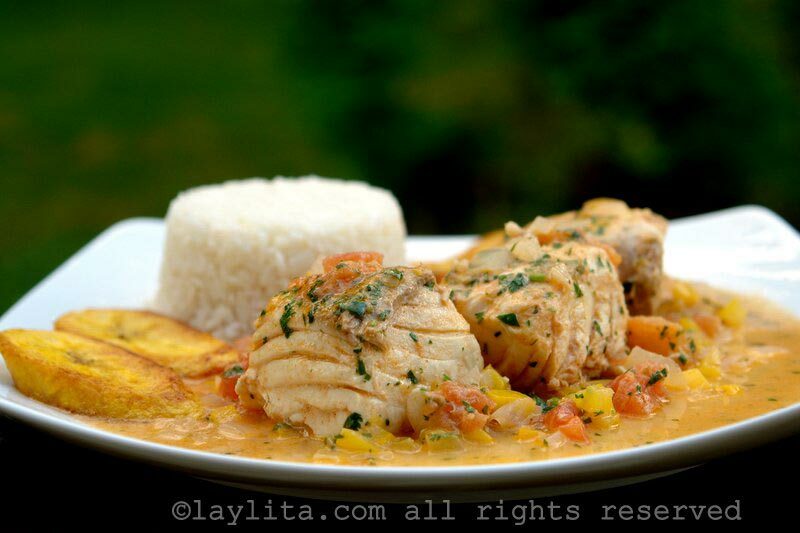 Encocado de pescado: Pescado encocado is a coastal dish of fish seasoned with citrus and spices and then cooked in a sauce of cilantro, onions, tomatoes, bell peppers and coconut milk. 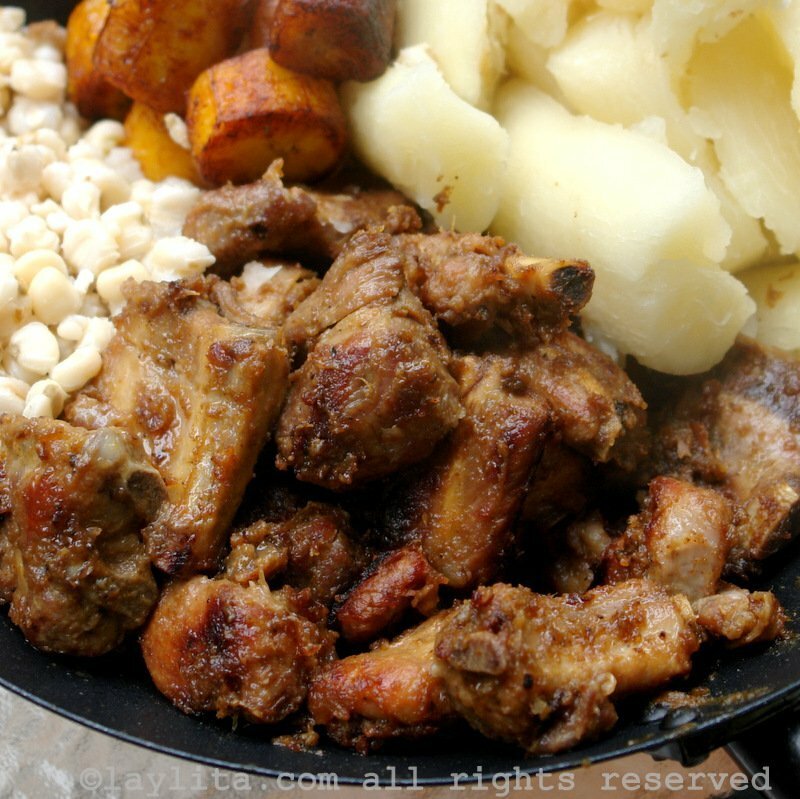 Fritada de gallina: A delicious and tender chicken dish prepared by cooking chicken in a sauce made with chicha or fermented corn drink, garlic, onion and cumin until the liquid is gone and the chicken is golden brown. 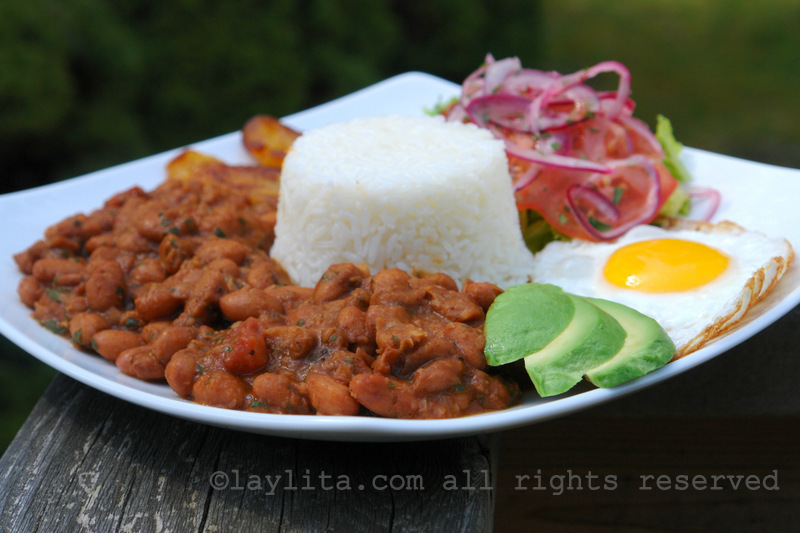 Menestra de porotos: Menestra de porotos is an Ecuadorian bean stew, made with beans simmered in a sauce of onions, tomatoes, garlic, cumin, chili powder and cilantro or parsley. Pescado a la parrilla con salsa de mariscos: Grilled fish topped with a seafood sauce made with shrimp, calamari, scallops, garlic, onion, white wine and cream. Quinua marinera: Quinoa cooked in seafood broth and sautéed with shrimp, clams, squid, bay scallops, onions, garlic, bell pepper, cilantro and spices. 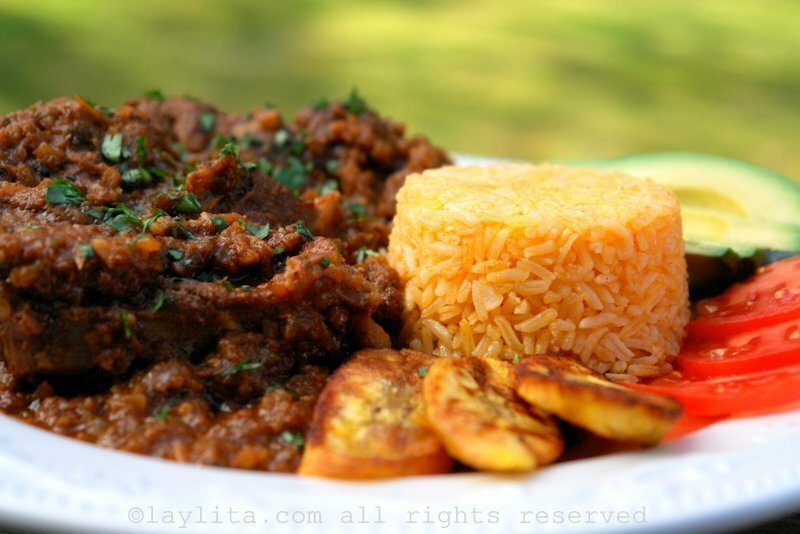 Seco de borrego: Seco de borrego is an Ecuadorian lamb stew cooked slowly in sauce of beer, wine, garlic, cumin, achiote, oregano, peppers, onions, cilantro, parsley, tomatoes, and other spices. Seco de carne con tamarindo: Seco de carne con tamarindo is a beef tamarind stew simmered in sauce of tamarind, beer, garlic, cumin, achiote, peppers, onions, cilantro or parsley, tomatoes, and other spices. 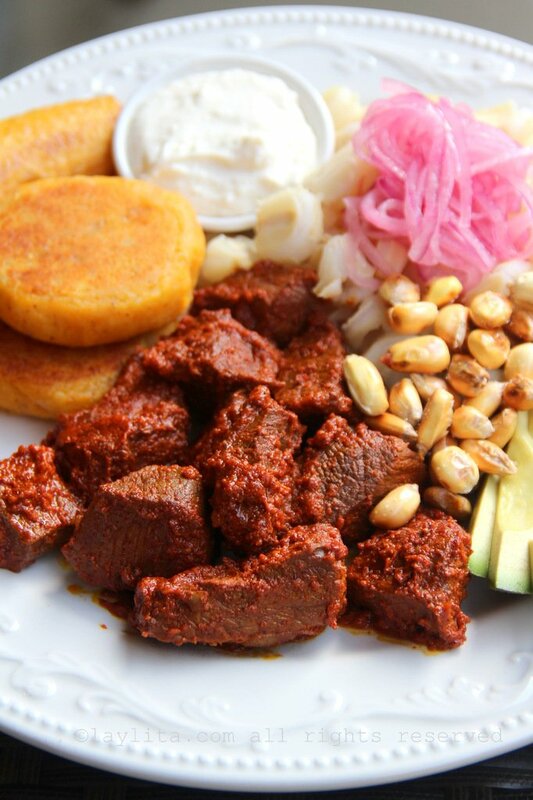 Seco de chivo: Seco de chivo is an Ecuadorian goat stew braised in a sauce of garlic, cumin, achiote, oregano, peppers, onions, cilantro, tomatoes, chicha or fermented corn drink, naranjilla or lulo juice, panela and spices. Seco de pollo: Ecuadorian style chicken stew cooked slowly in a sauce of beer, onions, garlic, peppers, tomatoes, herbs and spices. 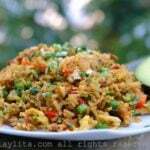 I just made your seco de pollo and my boyfriend (from Guayaquil) loved it. I look forward to trying more of your recipes, thanks! 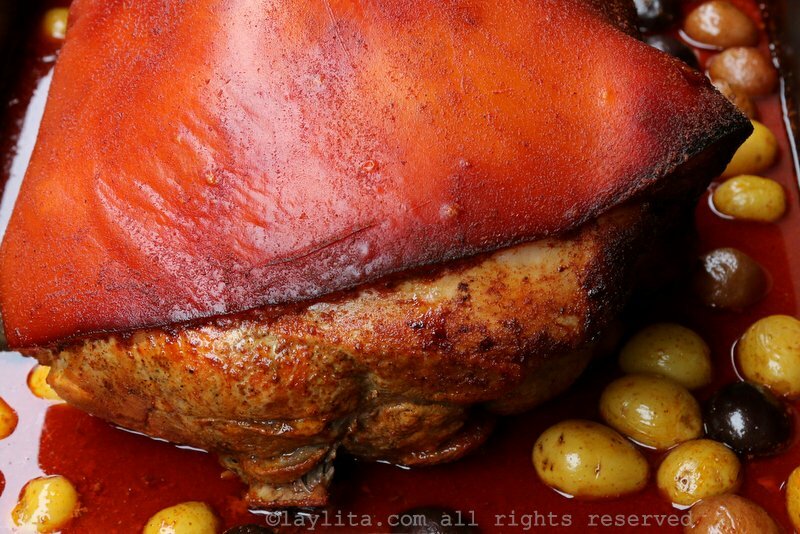 My family loved the chipotle glazed ham. Delicious. Thank you for sharing your recepies. 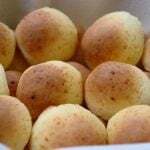 I live in coastal Ecuador, Salinas, and appreciate all these recipes. I’ve tasted almost every one of these foods, and now can make any one I want. Favorites, way to many to mention. But ceviche is near the top, hornado de chancho, arroz con camarones, llapingachos, pan de yucca, seco de pollo, encebollada, cazuela, are only a small few of the many more. So many good fish, shrimp, crabs, langesitino. (I know I misspelled it) Anyway, thanks so much!